High-performance, highest-rebound competition skateboard wheel at any price. You will notice the difference. Your buds will notice the difference in your skating. Guaranteed! Available Now in Brilliant White! 70mm x 40mm x 78a. Centered hub. Both shoulders rounded. Very fast. Very cool. New! Crystal clear. Gorgeous! Aluminum hub. Includes two ABEC5 bearings. Flush inside, rounded outside shoulders. 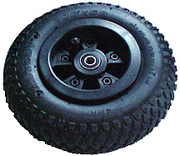 75mm x 45mm rubber tire on aluminum hub. New. Hefty. Durable. Phat, wide, juicy, grippy. Inset hub. Flush inside, rounded outside shoulders Includes two precision, oil-lubed ABEC5 bearings. Extremely grippy. NEW! Kryptonics Classic 80mm x 45mm x 82a. Race core. NEW! Kryptonics Classic 85mm x 45mm x 82a. Race core. 65mm x 40mm x 78a. Phat, juicy, grippy but more maneuverable than the 70mm. Inset hub. Flush inside, rounded outside shoulders. 70mm x 45mm x 78a. Phat, juicy, grippy, durable. Inset hub. Flush inside, rounded outside shoulders. 65mm x 40mm x 74a. Phat, juicy, very grippy but more maneuverable than the 70mm. Inset hub. Flush inside, rounded outside shoulders. 70mm x 45mm x 74a. Phat, juicy, very grippy. Inset hub. Flush inside, rounded outside shoulders. 65mm x 45mm x 74a. Centered hub, both shoulders slightly rounded. 65mm x 40mm x 78a. 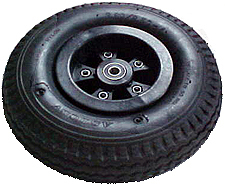 Centered hub, both shoulders rounded. White with black hub. Centered hub. Both shoulders rounded. Phat, grippy and fast. White with internal centered hub. Both shoulders rounded. Phat, grippy and fast. 110mm x 55mm rubber on nylon. On or off-road, versatile, economical. Gorgeous! All-terrain kit. 4 wheels, rubber and nylon, 113mm x 64mm, risers and all mounting hardware turns your skateboard into a monsterboard. All-terrain single wheel, rubber and nylon, 113mm x 64mm, turns your skateboard into a monster board. 113mm x 64mm rubber on aluminum with two ABEC5 precision, oil-lubed bearings. Absolutely gorgeous! Full kit. 113mm x 64mm rubber on aluminum, including two ABEC5 precision, oil-lubed bearings, risers and all mounting hardware. 113mm x 64mm rubber on aluminum. Big Slick. Including two ABEC5 precision, oil-lubed bearings. Absolutely gorgeous! Big Slick kit, including all mounting hardware to turn your trim into a catch-me monster board. 113mm x 64mm rubber on aluminum. 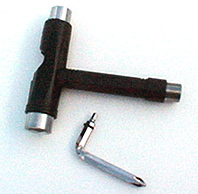 Including two precision, oil-lubed bearings pre-inserted. Absolutely gorgeous! Yak Research Blood-Steel ABEC5 bearings, set of 8 in the famous Yak-hoof-tube.Specially for skateboarding with steel cages and red neoprene shields for superior blow-out and moisture protection. Questions? Comments? Shipping too costly? We can fix. Email us or telephone 509-928-2128 or fax 509-891-8554.